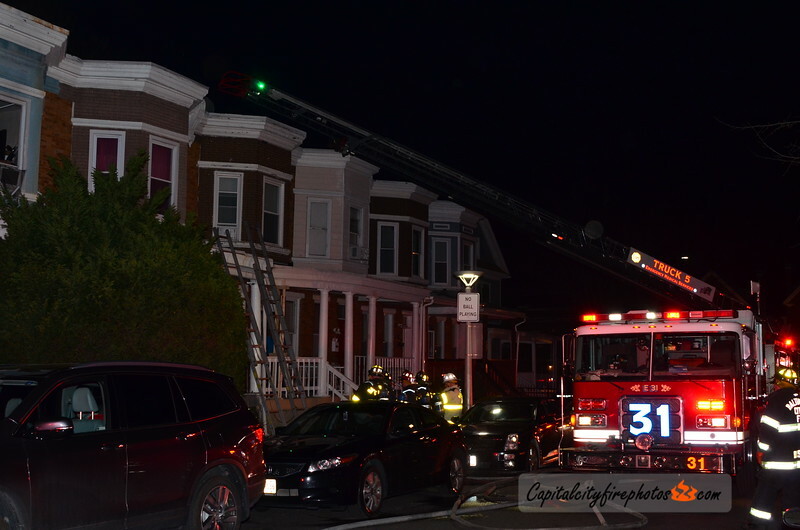 At 2240 hours, Box 31-10 sent Engine 31, 4, 21 (RIT), 43, 42, Trucks 29, 5, and Battalion Chiefs 4, 2 to 521 E. 38th Street for a reported dwelling fire with entrapment. Engine 31 arrived on scene with fire showing from the rear. Battalion Chief assumed command, reported a 2 story, MOG, smoke showing from the 1st and second floors and made this a working fire. Engine 44, Truck 25, and Air Flex 2 were added to the box. Multiple lines were used to quickly knock down a fire involving the kitchen. All searches were negative.